Ending the year with our last science engineering challenge. 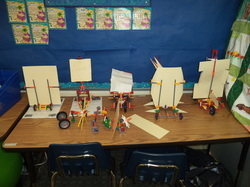 In partner teams, the children were asked to make a wind powered car. The car that travels the furthest wins. This was a 5 day challenge starting with exploring how knex snap together, working as engineering teams , designing/testing them modifying their cars and ending in setting their cars in front of a fan. 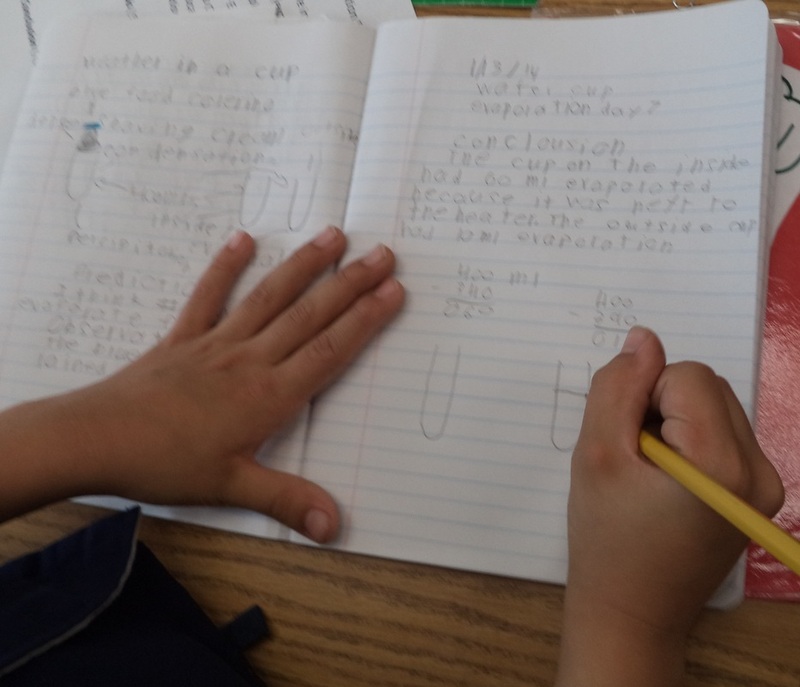 It was a challenge they eagerly accepted with teamwork, positive support for rival teams, curiosity , problem solving and the ability to change their plans based on observation and data. Hopefully it was a learning process they will long remember. Way to go Room 15! Enjoy the slide show and videos of car performances. Our last day in the garden for the school year was a surprise for the boys as they discovered & harvested 6 lbs of beans. I am thankful for the parents who made this possible! After watching several videos and singing songs on the FBI ( Fungus, Bacteria and Invertrebates, pollination and parts of a flower & plants. 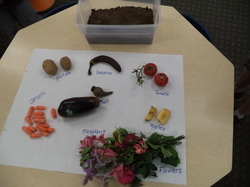 We dissected a plant and watched a 10 day decomposition of our fruits, vegetables and flowers. We then went outside searching for the FBI Enjoy!!! 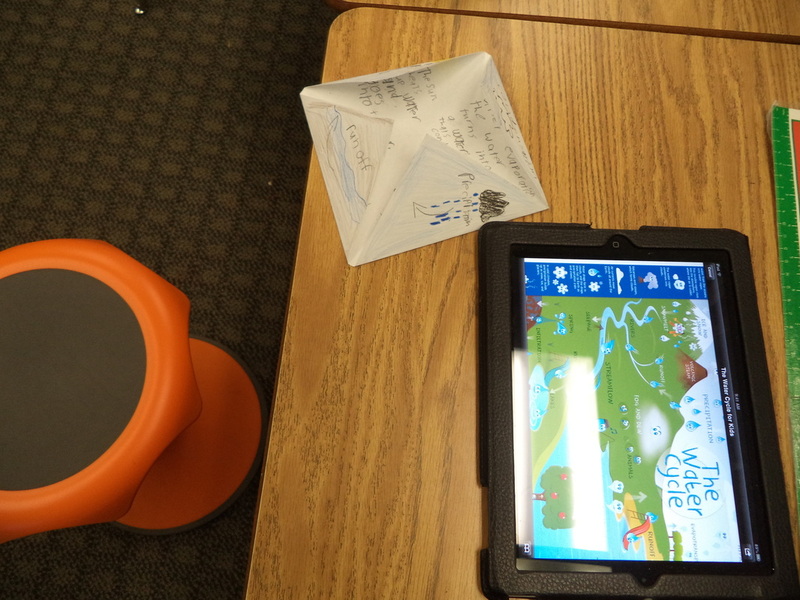 Some children made a movie after their popplet. This bird finally snuggled on his lap. His first reaction is precious. The children were so calm and gentle. Our 24 chicken eggs have arrived ! 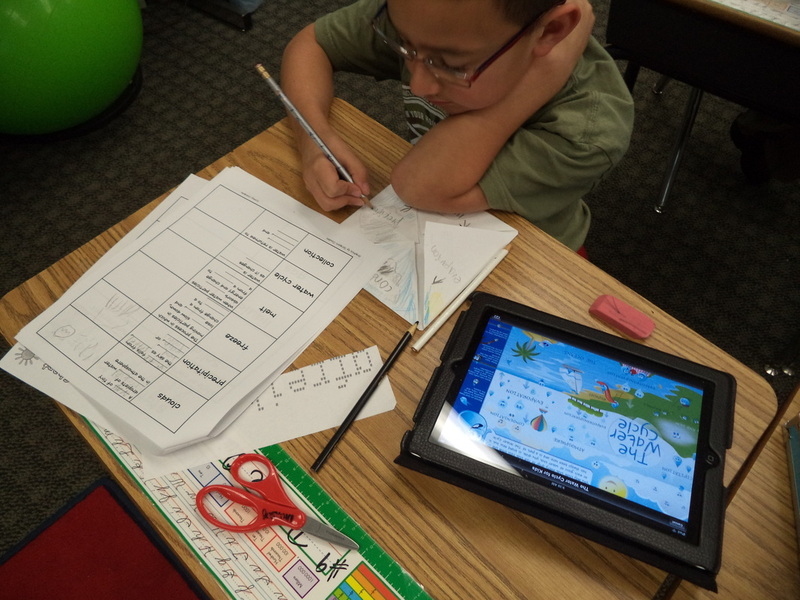 We have 21 days to learn about the life cycle of a chicken! May 2nd should start the hatching cycle. The students will be observing, investigating and journaling the process. 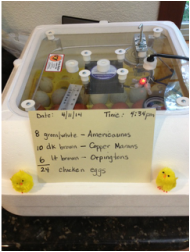 Candling ( a process to see inside the egg to determine if they are fertilized or not ) will happen on day 7 & 14. 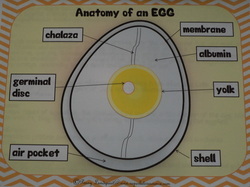 What is inside a store bought egg? 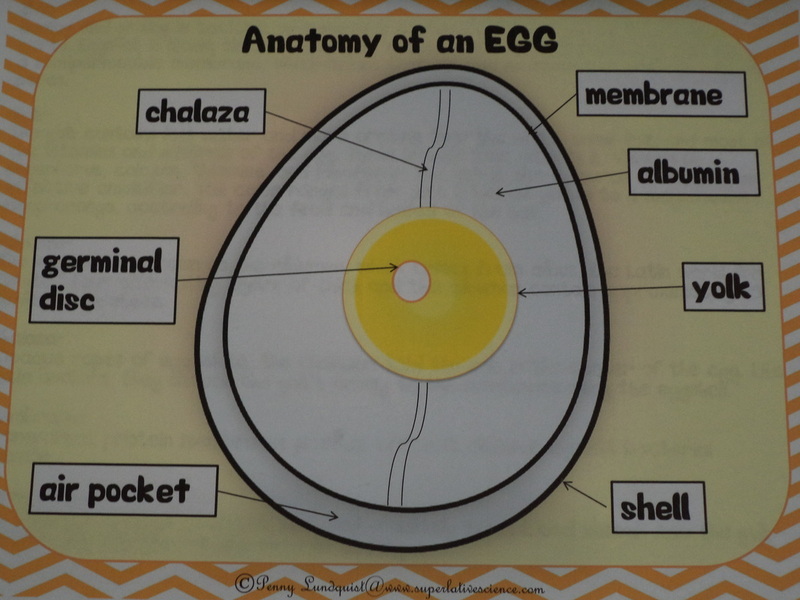 After watching a video on how to incubate the eggs and what is inside a chicken egg, we cracked a few store bought eggs open to investigate and see if we could see the 7 parts of an egg. There was a great deal of hand washing and oooohs and ahhhs. Harvesting our class bed of beets turned into another science activity that also involved some courage. Drinking an organic smoothie made with those beets! 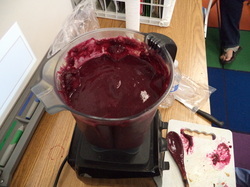 Our beet smoothie recipe included apples and blueberries. All tasted it and some loved it! Each child took a beet home. The stems and leaves were sent to the school compost bin. 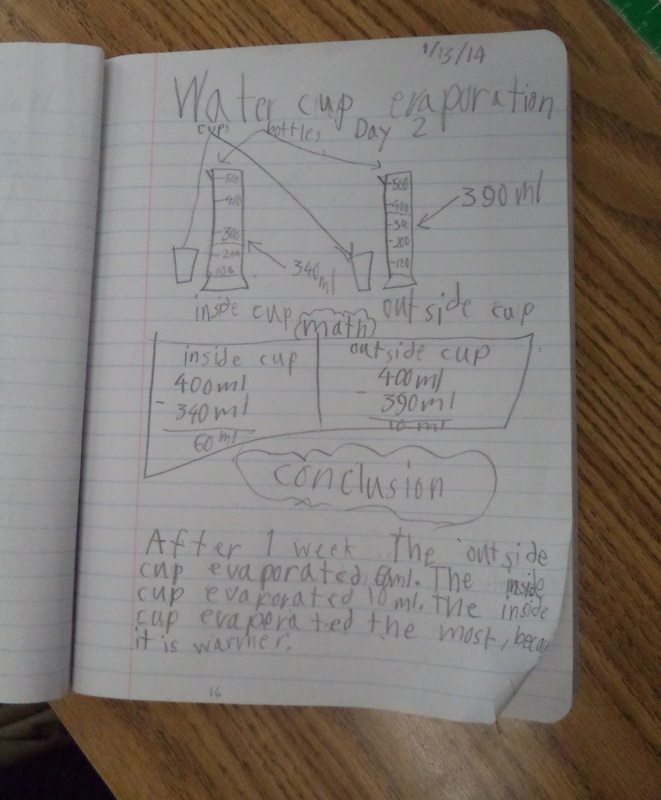 4th & 5th Grade Scientists! 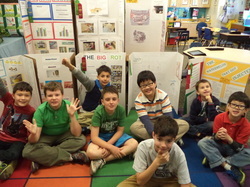 They all worked hard on their science projects and were very proud of their efforts. Their interest in science has clearly increased . I wish to express a heartfelt thank you to all who supported your child's efforts in this project. I learned a lot too! I am very proud of the 5th graders who had to also give a prepared oral presentation about their projects to 2 judges. They were nervous but did a wonderful job! Their smiles when they were done-priceless. Way to go 5th graders! 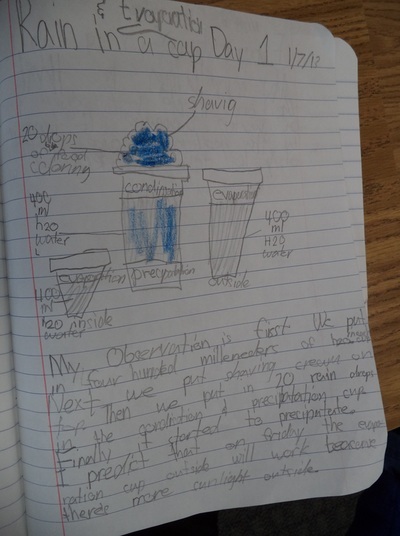 The following day, we were all able to see all of the science projects. Cup and Straw Towers ( Another AR party ;-). After attending the Physics Science Show last week, I thought the children would benefit from doing an engineering challenge. They were given 2. A warm up challenge involving 20 plastic mini cups was given to each child to work on independently at their desks. It was timed & followed by a period of discussion afterwards. This prepared them to work in partner teams using only a roll of tape, 30 straws, 5 pipe cleaners & 5 paper clips per team. They were given simple instructions and a challenge packet to complete. 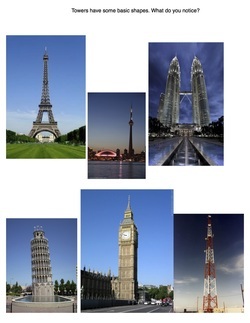 They went to work constructing the tallest free standing tower in one hour. These two challenges not only challenged them with building a structure but it also allowed them to be flexible, change their minds, start over, deal with set backs and mistakes , negotiate and work towards a common goal. They ended each challenge by completing a worksheet with some reflection on what they learned. Enjoy the pictures! Using the iMotion App to time and capture Frosty melting, it was determined Frosty took about 18 hours to melt in the classroom. 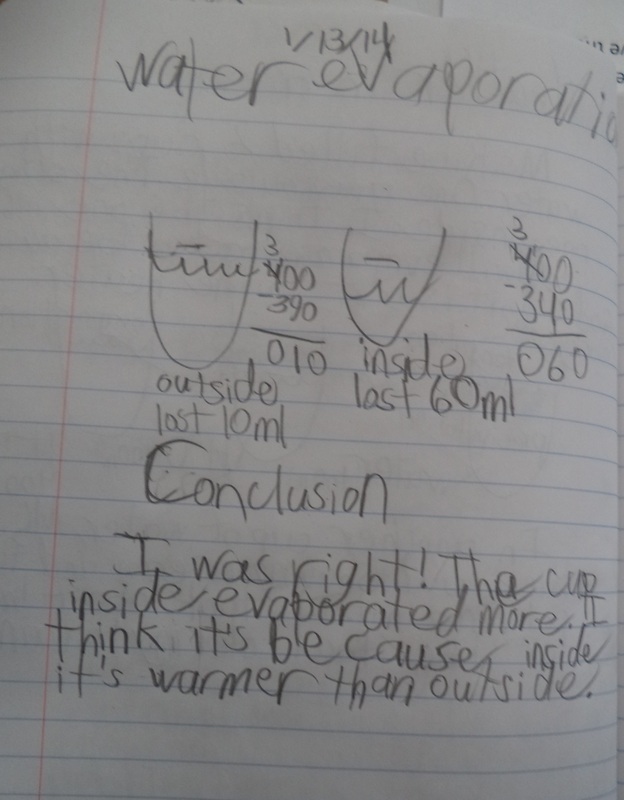 ( Going from a more solid state to a liquid state). This video was then shared and placed onto each iPad's camera roll which the children then used for their narrations below. Enjoy. 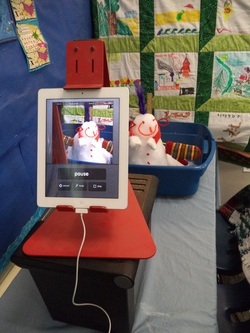 Narrated iMovie - the End of Frosty! 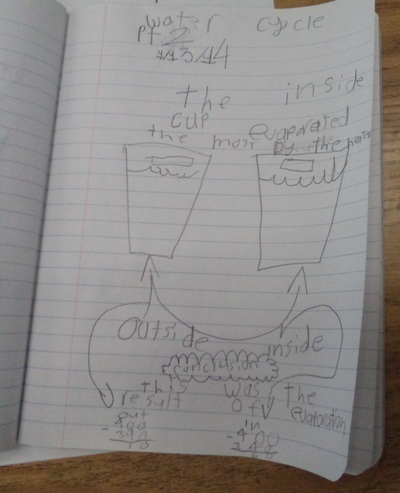 His 3 States of Matter. 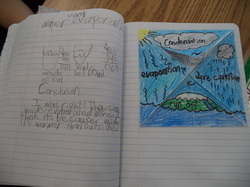 Students were asked to make a foldable to illustrate the water cycle and include the definitions under each flap. 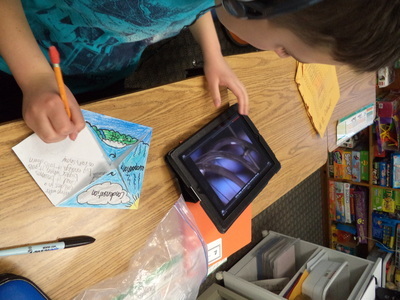 They used their ipads to look at videos , pictures or could use books to gather their information. 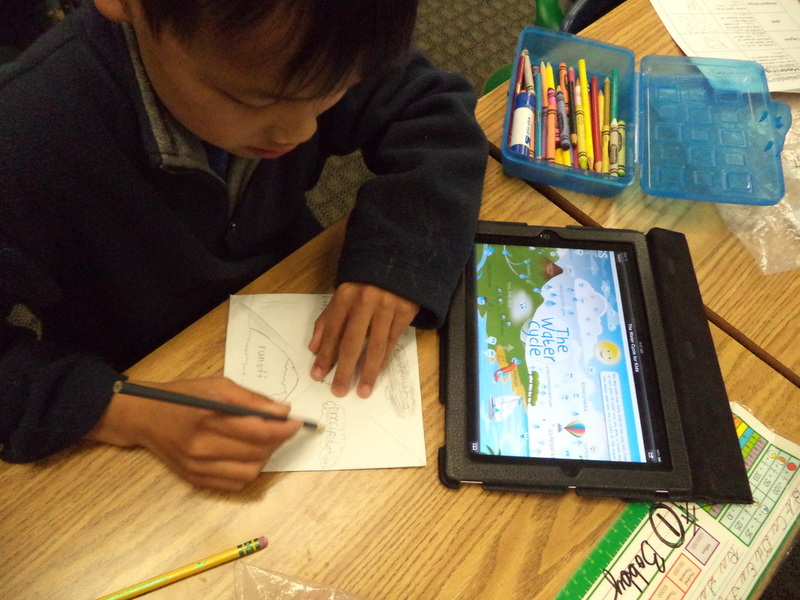 They then used Doodle Cast Pro to create a lesson for our buddy class. Enjoy. One Week Later..... 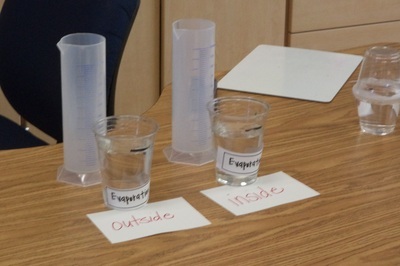 Which cup had the most water evaporate? Starting the new year with more water cycle experiments, predictions & song with the vocabulary as they prepare for their water cycle project. Will we be able to grow a Tree? Combine soil, water, seeds and gravel in a 'mini green house. Let the seeds hibernate and then expose to sunlight. Will it work? Place mini green house in staff refrigerator for 20 days . Seeds thinks it is hibernating and preparing itself for growing. What will happen next? 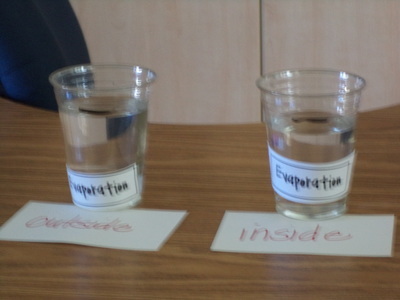 Two different types of crytsal formation and solutions. The Snowman's body and top of the broom is made of paper which will wick up the salt water solution. The head, hat and broom stick are plastic. Where will the crystals grow first ? Not grow? Why? Borax and hot water. Will they grow on the pipe cleaners? If so where will it start first? Last? 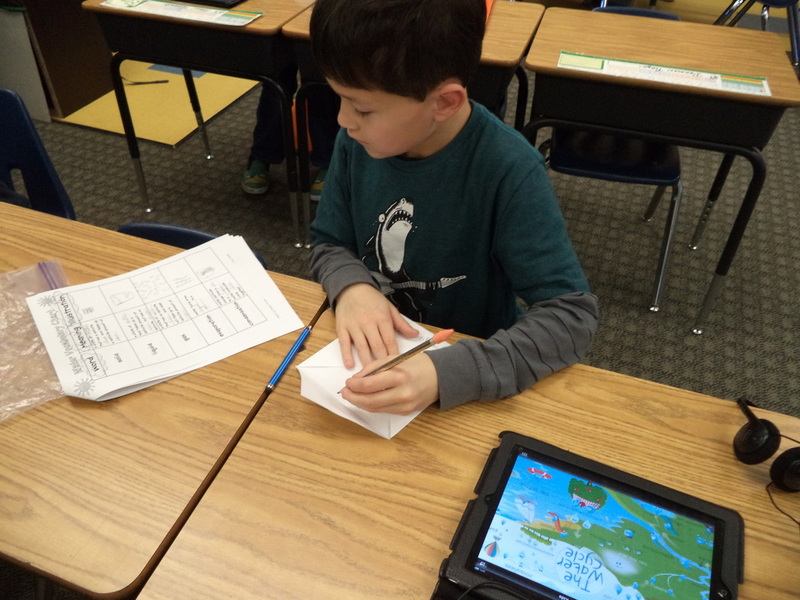 Will the Borax and Salt crystals look the same using the digital egg scope? 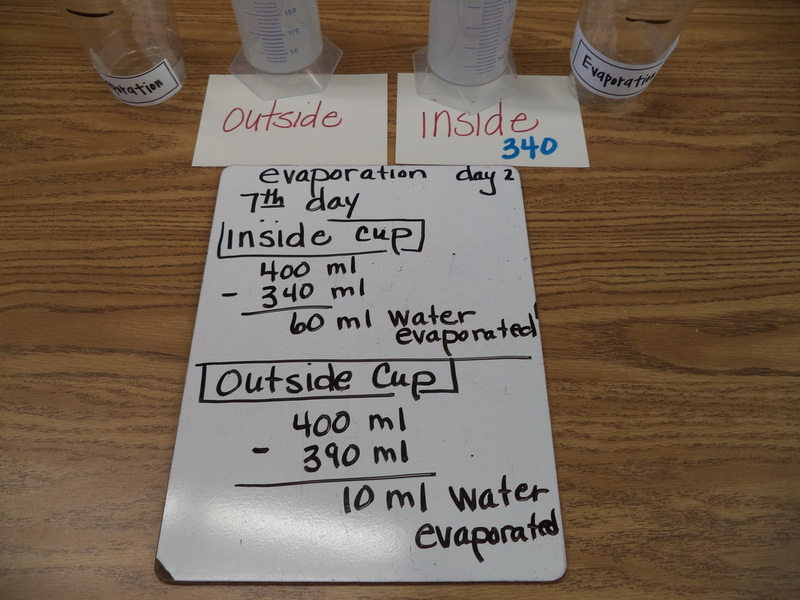 The Water Cycle , North Pole and more! 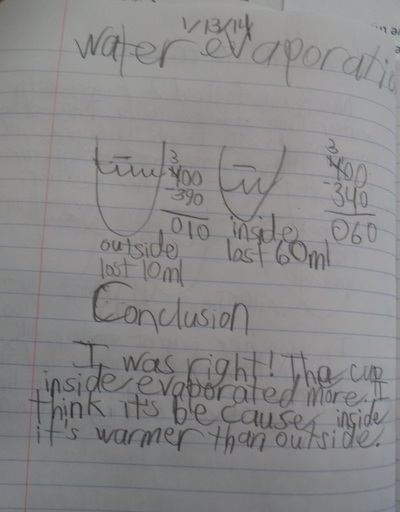 What happens when we use a variety of solutions, they get saturated and then we let the liquid evaporate ? 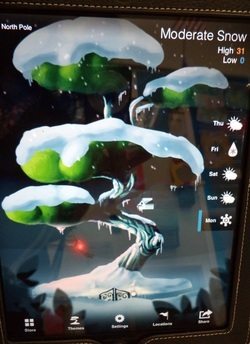 We went to the North Pole using the Weather Wise App.. BRRRR! We also watch this web cam stream from the North Pole and talked about the impact of the melting North Pole on Polar Bears. 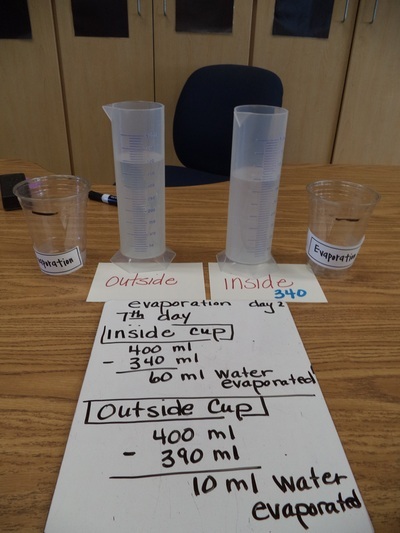 Two Pumpkin Science Experiments in two weeks. The children weighed these two pumpkins. 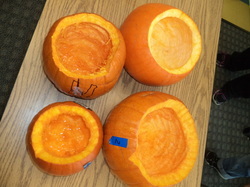 They were asked if the pumpkins would sink or float. 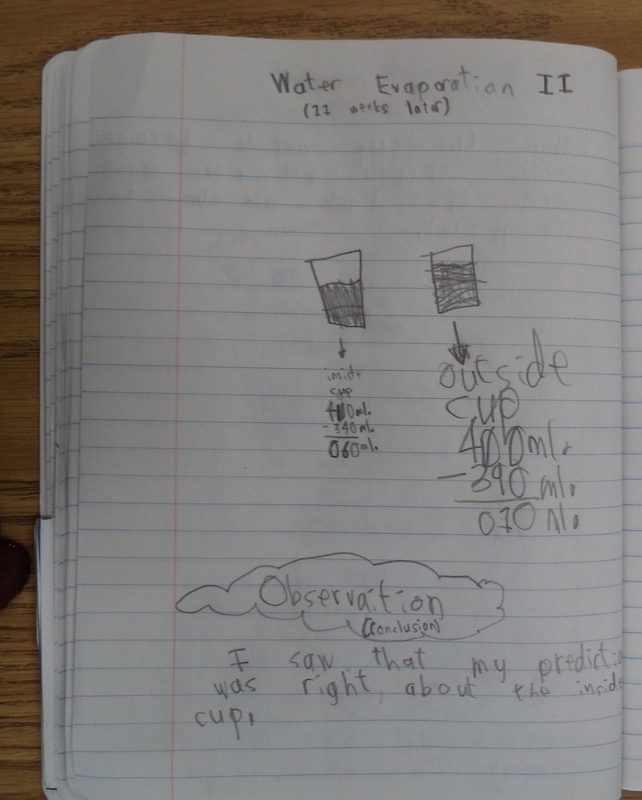 In their science notebooks they drew their observations and made a their predictions. What is your prediction? The answer surprised everyone and led to a great discussion about what makes things sink and float. for decomposition. 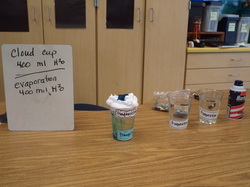 The question was then asked -Which one will decompose the fastest? Why? Garden Vista. Thank you Orgul and Maja for making it an incredible activity. Our Bed is # 3 check it out if you are at school. 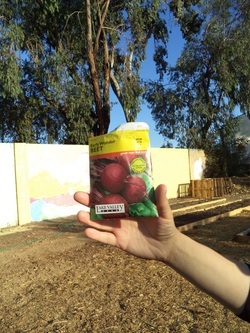 We planted beets with our buddy class (room 2). Enjoy the pictures below! 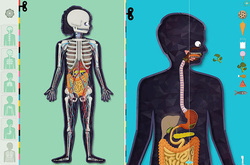 The Human Body App is fabulous & October brings in a science unit in collaboration with OT to learn body systems and its major structures- bones,muscles and nervous system . We started out with the bones and muscles . Below see their work taking a screen shot of their skeleton and then labeling the bones from our weekly song, Right Here Bones. The children also investigated the app which is very detailed and well thought out. 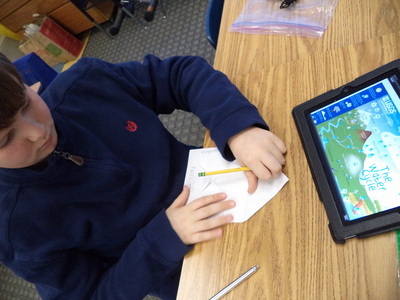 HERE is an excellent article regarding this incredible app. This was a perfect app as last week was Red Ribbon week where we discussed and did activities to promote a healthy lifestyle and diet. 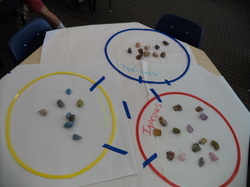 Join us as we discover the inner Core of the Earth where rocks can be formed! Room 15's rock unit is in progress. The Rock Polisher is going 24/7. We call it the 'Erosion Machine' and talk about how what we are doing in 4 weeks can take millions of years. The students find that fun to think about. We had a surprise visitor join us during our 1st opening & touching the polishers sediment and silt.